Kawasaki dealers in India are offering discounts on the Z250 and ER-6N motorcycles, and one particular HMSI dealership is offering a heavy discount on the CBR 650F. This while not a direct impact of the BS-IV norms creeping in, can be seen as a way to get rid off old stocks. Kawasaki dealers across the nation are offering a discount of Rs 57,000 and Rs 1 lakh on the Z250 and ER-6N respectively, with one dealership in Pune offering a discount of Rs 1.50 lakh on the ER-6N. A Honda dealership in Mumbai has slashed prices of the CBR 650F by Rs 1 lakh. Bharat Stage (BS) emission standards were first introduced in 2000 to counter rising pollution levels and have gone through four changes in the emission restrictions. The BS-IV standards were put in place at 13 major cities in 2010 for four-wheelers, with the deadline set to April 2017 for nationwide implementation, including two-wheelers. After April 01, 2017, all vehicles sold in the country will have to be BS-IV emission compliant, leaving dealers with no option but to offer heavy discounts on the BS-III motorcycles they have in stock. This discount then is a last resort for the dealers to sell the motorcycles before the deadline. With the bikes in question here being positioned in the niche market, the sales figures weren't exactly destined to be stellar. The Honda CBR 650F was first displayed at the Indian Auto Expo in 2014 and then launched at the Honda Revfest in 2015. 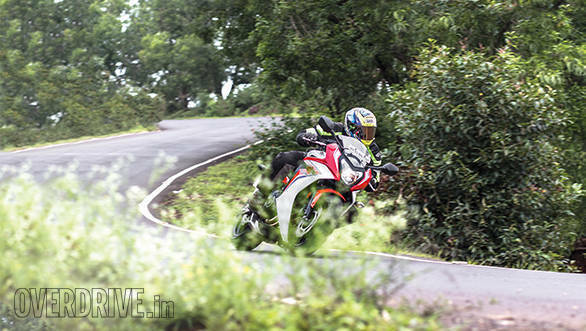 The midweight sports tourer clocked 50 units within a month of its launch. The Kawasaki ER-6N and Z250, on the other hand, haven't proven to be as successful, with the Z250, the entry-level motorcycle for Kawasaki in India, selling only 22 units in the last six months. While a few manufacturers were slow to develop BS-IV compliant vehicles, others like Bajaj-KTM, Royal Enfield etc. revamped their entire line-up to make them compatible with the new emissions norms. After the discounts, the Kawasaki Z250 costs Rs 2.95 lakh and the ER-6N Rs 4.45 lakh while the Honda CBR 650F costs Rs 7.60 lakh. All prices are on-road, Mumbai.